Tonight was the Spring Fling!!! Such a great event!!! The kids had a blast playing games, jumping on inflatables and eating yummy treats. Mrs. Short just found this great animal characteristics sorting game. It goes along perfect with our animal unit. 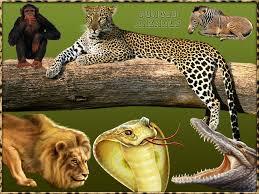 You have to sort animal characteristics into their correct group; mammals, reptiles, birds, amphibians, and fish. I know we haven’t gotten to all of the animal groups yet, but I think you’ll do fine. You can also click here and it will take you to a website that has several different animal games. Try them out and leave us a comment and let us know what you think of them!!! Spelling-We are officially finished with the spelling book. The next 3 weeks we will be reviewing all the words from the year. On Monday your child will take a pre-test with 45 words. The words spelled incorrect will be your childs spelling words for the week. Spelling test will be on Friday. Animal units-Fish test will be on Monday. We will start talking about reptiles this week with the test the following Monday. Early Release Day-We have an early release day this Wednesday. Kids will be released at 1:30. Field trip-The zoo field trip is Thursday May 27th. Money for the trip is due on Monday. Children are $8.00 (this includes transportation) Chaperones are $5.00-you will need to drive yourself and meet us at the gate. Please make sure to send it in-we need to purchase the tickets ahead of time. Click on this link to get a coupon! This week we started our research for our animal report. The children were shown 3 web sites to use and were able to take a book out of the library. On Monday we are going to compter lab to do our final in-school research. If your child did not finish with the research by then they will have to complete it at home. Below I have posted several links that should help with the research. This link takes you to the fraser library catalog and will help you find kid friendly web sites to check out. Just type in your animal name and you should be able to click on some useful web sites. These links takes you to the websites that we used in computer lab. If you still do not have all the information you need, you might want to go the Fraser Public Library and check out a book on the animal your child chose. Starting next week we will have 3 review test with the words from all year. 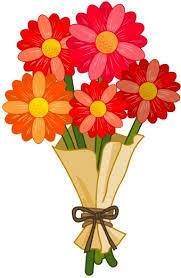 The children will have a pre-test on Monday with the review test on Friday. If your child gets all the words correct he/she will not have to take the test on Friday. The words that were missed will be their spelling word on Friday. We have started our final science unit of the year. ANIMALS!!! For the next 5 weeks we will study one type of animal. Last week we learned all about amphibians. This week we will study fish. Every Monday we will have a quiz on the animals from the previous week. Look for study guides and papers to come home every Friday. 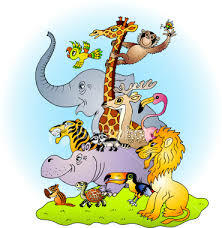 We will finish off the animal unit with a poster on an animal of your child’s choice. For the next 2 weeks we will do research in the computer lab on their animal. We will then work on our poster during writers work shop. Concluding with an oral presentation on the poster. Talent Show is on Friday, May 28th. Spring Fling is on Thursday, May 20th. 2nd grade celebration is on Tuesday, June 8th.